Which Plants Can Take the Fort Worth TX Heat? Talk about hot! In 2016, USA Today reported that four out of six of the hottest cities in America were in Texas. But that isn’t all. Fort Worth, Texas is also prone to drought, flooding and powerful wind storms. It’s a wild ride of a state for anyone who is beginning to learn about landscape gardening or is new to Texas. But if you want to develop a green thumb where summer temperatures regularly push 100 degrees F, you particularly need to become familiar with plants that can tough out Texas heat. One quick source of information is the Earth-Kind® Plant Selector of the Texas A & M University (TAMU) AgriLife Extension Service. In addition to heat, the Earth-Kind database rates plant sustainability on the kind of soil and fertility they need relative to a region as well as their drought and pest tolerance. Scores range from 1 (worst) to 10 (best). After choosing your part of the state by zip code or region, you filter results by selecting from traits such as sun exposure, flower color and bloom season, foliage characteristics and winter cold tolerance (USDA Plant Hardiness Zone). So, for example, if you live in the Fort Worth area (Region B — north and central Texas), your USDA zone is 8 and you want a perennial plant with red flowers that blooms in fall and loves full sun, it gives you 14 choices including China Pinks, Salvias and Turk’s Cap. However, if you change your exposure from full sun to shade, you now have five choices, once again including Turk’s Cap, which has the top sustainability score at 10. No contest! You like the flexibility of this plant, its bloom time from spring to fall and the fact that hummingbirds love it. Yes, Fort Worth Texas is hot, but many plants love it that way. 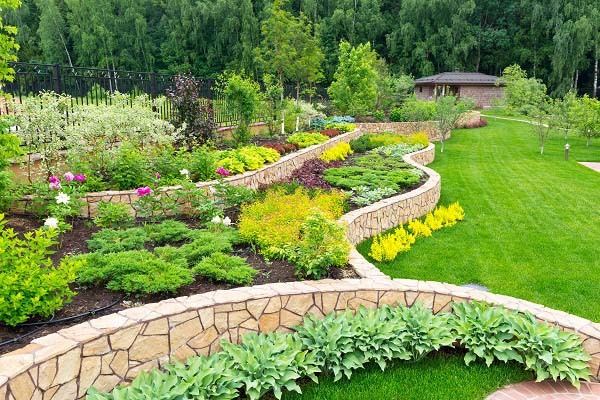 If you have questions about planting choices for your yard, please contact us at Landscape by Design. We know a lot about how to handle the ups and downs of Texas temperatures.